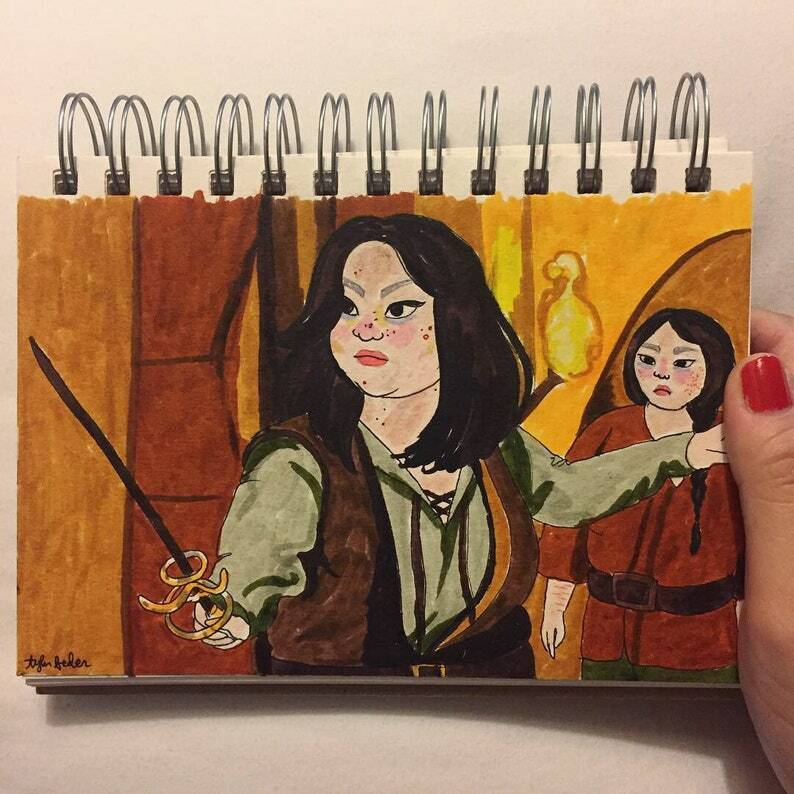 Every day during the month of October 2018, I illustrated a more diverse version of a famous movie scene for the popular Inktober artist challenge. Please read everything below before purchasing! Each inktober 2018 piece measures approximately 5x7 inches and was created with brush markers and Micron pen on thick, textured acid-free paper. They are all individually signed in ink. Colors may differ from what you see on screen because of lighting and screen resolution differences. These are original illustrations, not reproduced prints, that I have drawn by hand. Because of this, please keep in mind that they may have pencil smudges, tiny creases, rough-cut edges, or other small imperfections. They are imperfect babies and each is special in its own way! Art will be shipped in a cellophane sleeve inside a rigid document mailer with sturdy cardboard backing. Each original illustration comes with a certificate of authenticity and a personalized handwritten thank you note. Originals will be shipped via USPS Priority Mail. ▶ WHAT ABOUT INTERNATIONAL CUSTOMERS?